Films like "The Secret Life of Pets" and "Finding Dory" are animating the 2016 film industry in more ways than one. The North American box office is so far up 3% compared to last year. 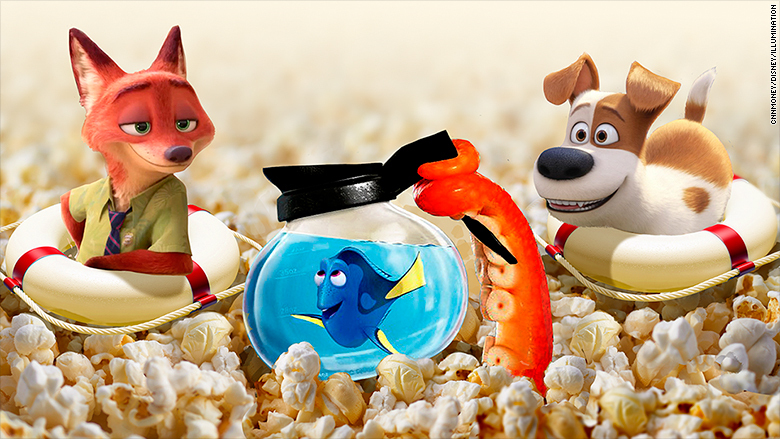 But if it wasn't for five PG-rated animated films it would be down a catastrophic 16%, according to comScore (SCOR). "Finding Dory," "Zootopia," "Kung Fu Panda 3," The Angry Birds Movie" and "The Secret Life of Pets" together account for $1.1 billion of the 2016 domestic box office, or roughly 19% of the overall total. Shawn Robbins, senior analyst at Boxoffice.com, told CNNMoney that 2016 is a different animal than most years when it comes to family films starring cute creatures. "It's fairly typical for families to be a major representative in any year, but 2016 is proving to be one of the most top-heavy, family-focused years in recent memory," he said. "Family films are picking up where sequels dropped the ball this year." Of the top ten films of 2016, four are animated films. That's double the amount of the last two years, and the most since 2010, when "Toy Story 3" was the highest grossing film. 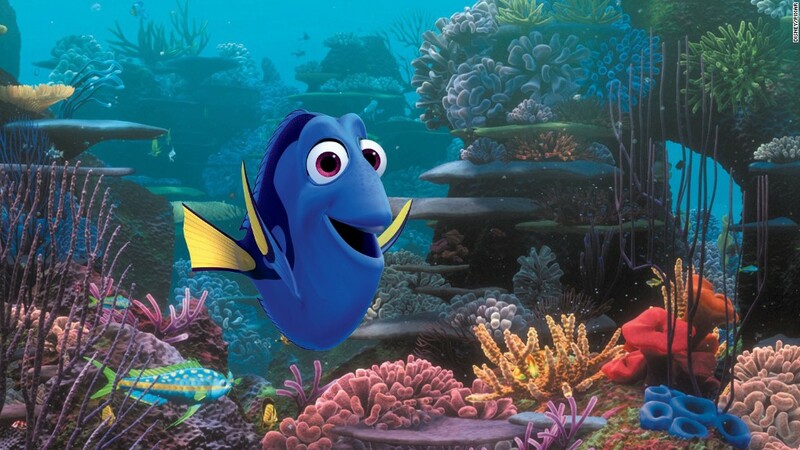 "Finding Dory," which has made more than $423 million, is currently the year's top film. "Zootopia," "The Secret Life of Pets," and "Finding Dory" have kept the 2016 box office afloat. Related: Is Hollywood's sequel bubble about to burst? The reason for the recent success of family films may be a simple one: the top family films have been good movies. "Dory," "Zootopia," "Pets," and "Panda" are all certified "fresh" on review site Rotten Tomatoes. Only "Angry Birds" has bucked that trend, bringing in more than $100 million with a 43% "rotten" score, but that film did have a built in audience, based as it is on the popular series of mobile games. Otherwise, when animated family films this year have been bad, they've paid the price: both "Ratchet & Clank" and "Norm of the North" flopping with both audiences and critics. It's possible that live-action films aimed at wider audiences could take back the top of the box office this year. Movies like "Rogue One: A Star Wars Story" and the Harry Potter spinoff, "Fantastic Beasts and Where to Find Them," could both be blockbusters, for instance. But there are more potentially big animated films on the way too. DreamWorks' "Trolls," Fox's "Ice Age: Collision Course," Disney's "Moana," Illumination Entertainment's "Sing," and Warner Bros. Pictures' "Storks" are all still on the docket for the rest of the year.